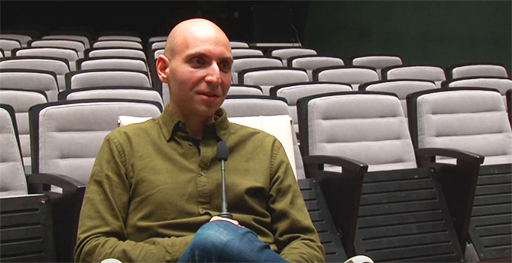 Our next extract from the Respond 17 Scroll magazine gives some background to keynote speaker and masterclass workshop leader Vitaly Friedman. 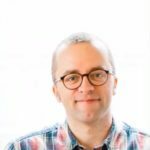 As a regular speaker at web conferences, the Smashing Magazine head honcho is obviously a very familiar figure in our industry, but we wanted to find out how he got started and what inspired him to build his Smashing empire. Here’s some of what we came up with for Scroll. Vitaly Friedman is a very high profile writer, speaker and workshop leader on a range of topics associated with emerging web technology. As co-founder and Editor-in-Chief, Vitaly is very strongly identified with Smashing Magazine, one of the best known online magazines focusing on web design and development. In 10 years, Smashing has grown from a small blog to one of the world’s major publishers of articles by industry experts on a just about any topic associated with web technology. Smashing has evolved in that time to also become a publisher and vendor of books (print and digital), a presenter of conferences and workshops (face-to-face and online) and maintains a list of design / programming job vacancies around the world. 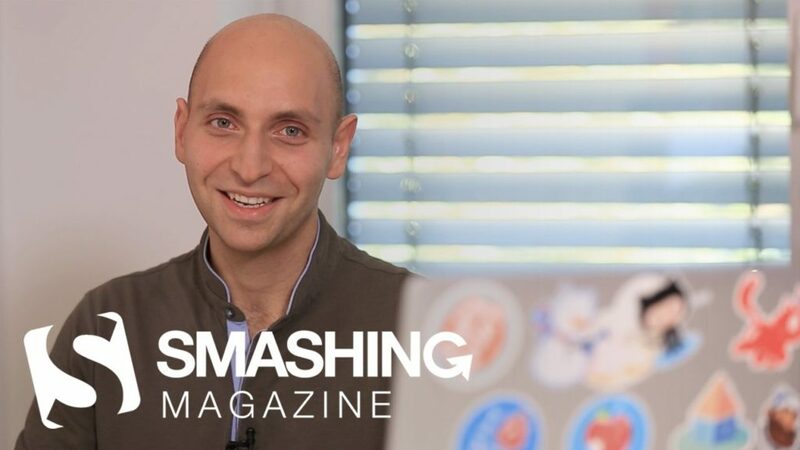 There’s no question that Smashing Magazine is now one of the leading avenues of professional development for people in the web industry anywhere in the world. In February this year while in Croatia, Vitaly gave a rare and lengthy video interview to local tech events organiser DaFED, in which he opened up about this. “For me it all started 18 years ago – it makes me feel so old saying that – in 1998 or 99 when I was just trying to figure out what to do with my life. Somebody showed me the internet and that was a big new thing for me. It was really powerful for me to have that feeling that I’m able to publish content for free and make it available to everybody. I was born [in 1985] in Belarus – I grew up in Minsk – and I bought a CD which had Photoshop and Illustrator and other programs for one dollar! Everybody was talking about Photoshop but I started using Image Styler, an application that probably nobody knows because there was only ever one release, and I started using it to create images and then websites. It wasn’t long before young Vitaly fell into publishing. “I had a football blog which was all about getting scores from different … not many people know this, but I published 28 or 29 issues, which were designed in Word Art (if that tells anybody anything). It was horribly designed and I had maybe 300-400 people subscribing to it by email, and then eventually I also got a website for it. In 2000, Vitaly’s family moved to Germany and naturally he came with them. “This was a really tough time for me because I didn’t understand the language. I didn’t speak German and I had no money, no friends, no social circle. I literally had to fight – like most kids brought in to a new, different environment. I felt that it was important for me to be independent so I wanted to find a way to earn my own money and not depend on my parents or my brother. I tried very hard to learn the language fast, and after a year I found myself understanding German – not being able to speak it properly, but understanding it – and I was trying to find a way to earn money and so I kind of referred back to the thing I could do and that was building websites. I wasn’t a master, I was an amateur at best, but many people were experimenting and playing so I just started trying to do something in this area. That’s the end of this excerpt from Scroll magazine. Come and see Vitaly and the rest of the amazing line-up at Respond 17 in May.